Xewkija the village of the Rotunda Church, was the first hamlet to be raised to the status of a village. Its name is Maltese and Arabic for a place where thistles abound. Xewkija is dominated by the mammoth Rotunda parish church, dedicated to Saint John the Baptist. 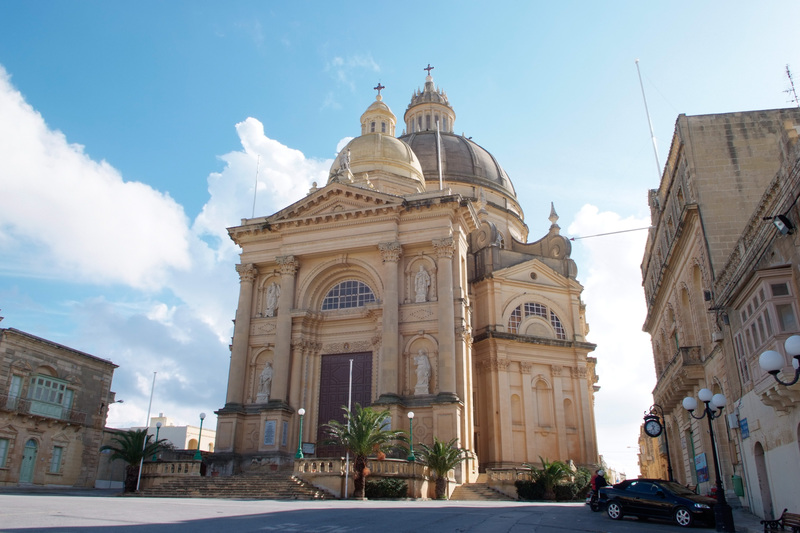 It became the first parish outside the town of the island of Gozo on 27 November 1678. It was Bishop Michael Molina who, after visiting the hamlet during a pastoral visit, decided the large community living around an old chapel of Saint John the Baptist, deserved better pastoral care. The old chapel was rebuilt at least twice. The foundation stone of the Rotunda, the parish church, was laid on 4 May 1952. It was built around the former church, itself raised on the site of a still older church. The community was, until the middle of the twentieth century, made primarily of farmers and fishermen. They had made all sort of sacrifices to build the earlier churches. Undaunted by sacrifices, in 1952, these farmers and fishermen bound themselves to a weekly offering to raise the enormous rotunda. The dome, 75 metres high, with a diameter of 27 metres, and a circumference of 85 metres, is one of the largest in Europe. Its total weight is calculated to be around 45,000 tonnes. It was consecrated on 17 June 1978. The church has enjoyed Archipresbyteral since 10 February 1893.